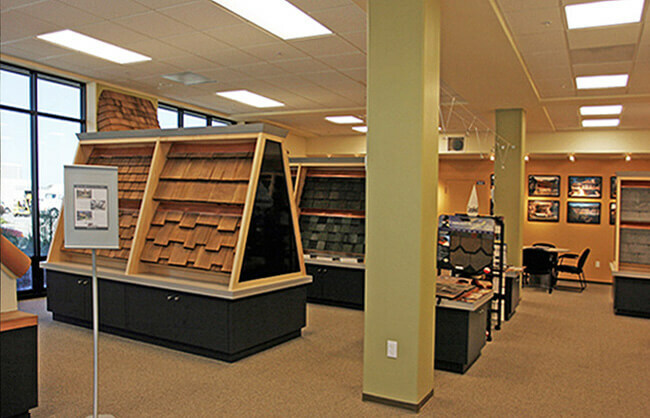 Visit our roofing showroom where you can view samples, full-size displays, textures and color boards to find the best materials for your project all under one roof. The Scudder Roofing Products Showroom. In the market for a new roof? Visit our products showroom to view materials, samples, color options and working display models. 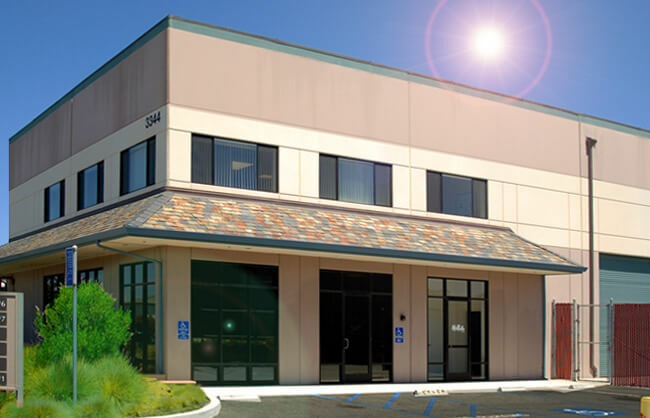 Our roofing products showroom is a wonderful tool for customers to see a big variety of the products and brands we carry at Scudder Roofing.  Our experienced staff can help you choose the right materials for your home improvement project -- from roofing, gutters, windows and more, you can see your choices up close, all in a no-obligation, educational environment. Peruse samples, full-size displays, color boards and textures and find the best materials on the Peninsula -- all under one roof! 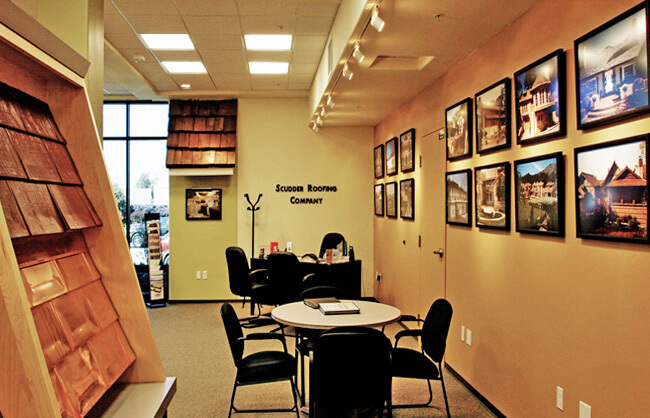 Showroom Hours: Mon-Fri 8am-5pm & Sat 9am-1pm or by appt. Sometimes the best way to make a tough decision is to see something in person and for yourself. Our roofing and solar products showroom is jam-packed with working models where you can see the construction process from start-to-finish including color samples, material options and quality products from a wide variety of top roofing system manufacturers including CertainTeed, GAF, Boral Roofing, SunPower and many more! You'll also find products and brands for all of your other home improvement needs including windows, gutters, ventilation custom metal fabrication and much more.